With one of the most lovable animated characters of all time, DreamWorks' Kung Fu Panda remains a favorite of my sons even to this day. 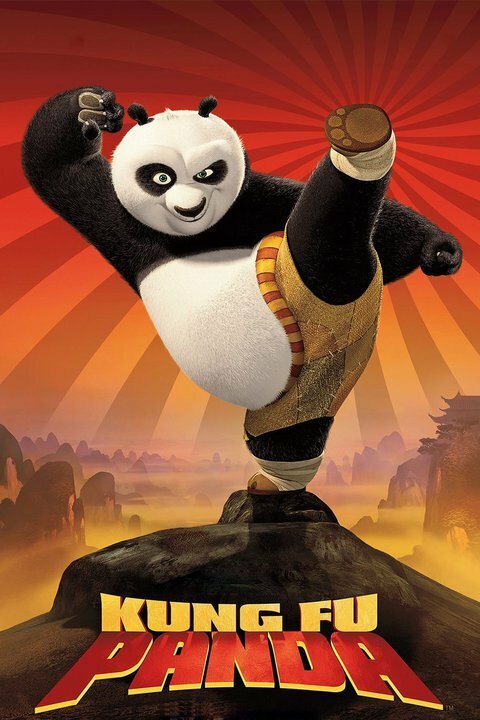 And, with an all-star cast featuring Jack Black (Po), Dustin Hoffman (Master Shifu), Angelina Jolie (Tigress), Lucy Liu (Viper), Seth Rogan (Mantis) and Jackie Chan (Monkey) among others, Kung Fu Panda is not short of voice talent. The story starts out with Po working in his father's restaurant serving noodles. But when he realizes that his life is unfulfilled, he loses himself in his dreams of becoming a master martial artist. In a bizarre twist of fate, Po gets chosen as the Dragon Warrior, the one who will bring peace to the valley and provide protection against its enemies, including Tai Lung, a former student of Master Shifu who was "destined for greatness but succumbed to darkness." Additionally, the Dragon Warrior will be entrusted with the Dragon Scroll that for 1,000 years has kept the secret of unlimited power. Severely out of shape with zero marital arts training, Po makes an unlikely candidate and has to face the ridicule of others, including the Furious 5, the village's Kung Fu idols. Po needs to reach deep within his heart and mind to prove his worthiness. Along the way, he will learn that martial arts is as much a discipline of the mind as it is the body. While Po gives children a real underdog to cheer for, the film also provides many important life lessons. Hard work, perseverance and the belief in oneself will help anyone achieve their dreams. Humility, not pride, is the source for inner peace, as is letting go of the illusion of control. Kung Fu Panda is rated PG for sequences of martial arts action (in other words, intense fight scenes) and contains a fair share of weapon use and explosions. Also, I will warn parents that most images of Tai Lung can be scary for very young children. I would recommend this film for most family members for the humor, the action, and the lessons it provides. Don't forget to check out Kung Fu Panda 2 as well before the third film hits theaters early next year.